Installer for SharePoint environments with x64 Web Fronts is now available upon request. Resolved permissions-related issues regarding the server cache. Resolved a bug where additional thumbnail placeholders could appear when viewing the Previewer when maximized. 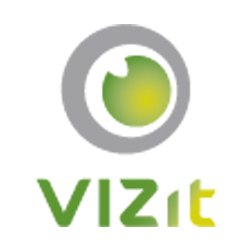 Now properly alerts customers to activate the Vizit Feature for a given site collection if they add the Vizit column to Document Libraries in site collections where the Feature was not yet activated. The Vizit Previewer icon will no longer show up for Folders when in list view. Resolved an issue where Previewer would not work for users who are members of the Read group, but not members of the Contribute or Owner group.